Today’s society does not seem to have a high regard for the trait of humility. Athletes prance around and promote individual accomplishments during a game, corporate executives attempt to shift blame for poor performance on their employees, and even school systems will quickly take credit for high test scores, while pointing their finger at others when they have poor results. Humility is regarded as a weakness by many. They view it as a result of poor self-esteem, or a damaged upbringing. People who demonstrate true humility are rare. Many do not understand the value of this important character trait. The martial arts stands in sharp contrast to this backdrop. Humility has been a virtue promoted by the martial arts for centuries, and has been recognized as an effective tool for not only keeping one’s pride in check, but for developing a healthy self-respect. In addition, humility has been recognized as an effective motivational tool. The fact is, those who effectively demonstrate the attributes of humility have a greater opportunity for success in all areas of life. Those individuals who don’t take themselves too seriously, are generous with praise for others, and are willing to share credit and take blame when necessary, create loyalty and dedication from coworkers, friends, family, and teammates. Humility may be an overlooked and undervalued character trait, but it continues to be appreciated by those most directly impacted by it. As you make an effort to display the qualities of humility, see if there is a difference in how people relate to you. You might just find that the road to personal accomplishment is much easier when you remain humble. Living a life of humility reveals strength of character and the understanding that your achievements are not due to your actions alone. Humility helps us put our accomplishments in the proper context – one that recognizes that we are part of a larger stream of individuals who are impacted and will impact many others. Through humility, we gain true self-respect and wisdom. 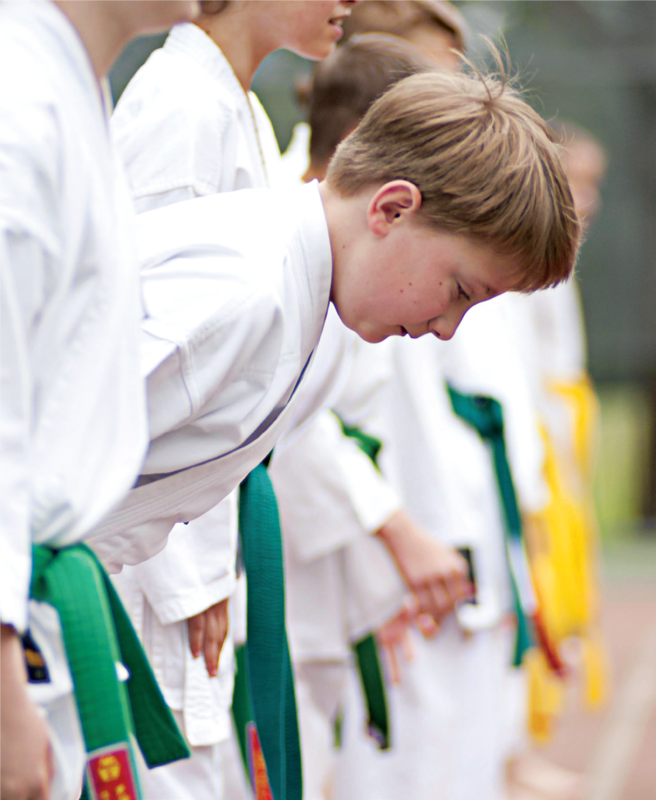 Are you looking for a place to train that emphasizes Humility, Discipline and Respect? Then give us a call right now at 757-410-4999 to get started today! Join the fun at King Tiger Martial Arts where you’ll experience expert training in a fun, positive and supportive environment suitable for everyone in your family. Or simply fill out the box in the upper right corner and take advantage of our FREE 30 Day Trial Membership!